Niassa Lion Project is working alongside the Niassa Reserve and Mozambican Government to create harmony between the wildlife and people living within a vast area of wilderness. They fae a number of serious challenges to protect the safety of the carnivores and the purity of the rivers while cultivating a mentality of conservation among the local people. All mining inside the reserve is illegal. In the area run by Niassa Lion Project there is unlicensed gold mining activity. In the processing of the gold these miners are often found to be using toxic chemicals. On a field expedition to the ruby mining area around Montepuez, we heard about Gemfield’s at ambitious project to farm chickens neat Montepuez Ruby Mine in partnership with a local women’s association. We were also able to see two newer projects: Mustang’s Montepuez Ruby Project and exploration pits at Metals of Africa’s concession as well as visit areas where garimpeiros (unlicensed miners) were digging. Gem quality ruby now being found at these newer sites indicates that the boundaries of this large deposit are yet to be established. 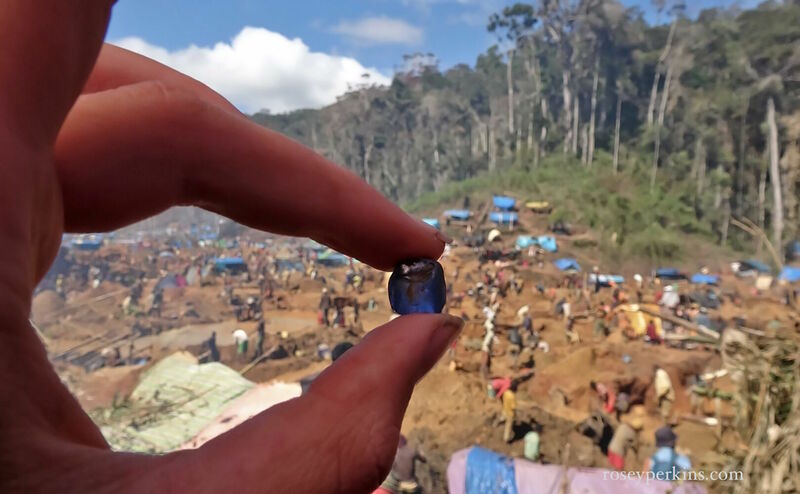 This film is published with thanks to Vincent Pardieu, GIA and our generous hosts at Montepuez Ruby Mine, Gemfields and Montepuez Ruby Project at Mustang as well as Mr Constantine at Metals of Africa. Thank you also to our team members, Wim Vertriest, (GIA), Floriane Duret (geologist and gemologist) and Marie Lemoux (gemologist). This films was made by Rosey Perkins (gemologist).